Animal garden pests are attracted to lovely lawn and a variety of healthy trees, shrubs, vines, and grown covers. This is very annoying for people who create lovely gardens or landscapes for their pleasure and enjoyment. While many of these animal are appealing in nature, they are seldom welcome in the yard. As they go about raising a family, eating, and sleeping, they inadvertently damage plantings. Animals can be just as damaging to your garden as insects can but in a different way. 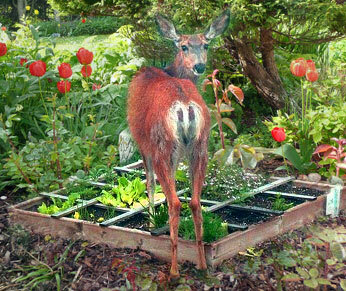 Some animals, like deer or other herbivores, may find your garden to be a nice all-you-can-eat buffet. The most effective way to control these animals is with a wall or fence, but there are also a lot of best control strategies to drive away these invaders such as repellents, deodorant soaps, egg spray, human hair, hot sauce spray, and garlic. 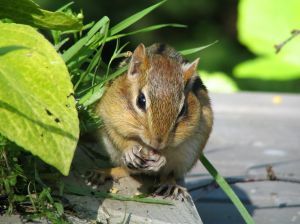 Smaller animals, like rabbits, squirrels, moles, voles, chipmunks, hedgehogs, mice, rats, and other vermin can also make shelter and find food within your garden. The best control strategies that can be effective in handling them are: traps, tree and wire guards, digging and flushing (for moles), commercial and non-commercial repellants, antitranspirant spray , glue board and Vitamin D Bait (for mouse), and etc. Some animal garden pests can dig holes in your garden that can be dangerous for people and plants. If the animals dig too close to the roots of the plants, they can kill the entire plant. If you or your guests trip in a hole and become injured you or they could be seriously hurt. Depending on where you live, the deer and animals that come to eat your garden leaves might even attract bears, mountain lions, or other dangerous animals. Mice and other vermin entice other animals that feed on them to your garden. Owls, bats, and other predators may find the vermin living in your garden to be an easy source of food and may take up residence in your garden. Even though they are less dangerous, cats and dogs that roam the neighborhood could find. If a fence or hedge is not enough, and it may not be enough to keep some of the smaller animals out, you can try using traps to get rid of unwanted animal garden pests. You should always use humane traps that will not cause unnecessary suffering or pain. You can catch these animal garden pestss in traps and then release them far away from your garden. . Certain scents are said to deter particular animals and insects, like citronella, so leaving a citronella candle or spraying citronella oil around the garden might be a safe and effective way to get rid of animals in your garden an appealing hunting ground and leave the remains of their meals and their feces everywhere.